Medical practices have evolved rapidly over the past century, and with each development, imagining the next medical technology becomes a challenge. Magnetic resonance imaging (MRI) is one of those technologies, elevating itself as a premier tool for research and clinical care. But this complicated machine brings to the table more than just cool images of the anatomy and physiology of the human body–it allows physicians and patients to interact at a whole other level. But even that is not the entire story. Is MRI, as it is utilized in this immediate era, being held back from its ultimate potential? This life-saving technology could possibly be preventing humans from moving forward in preventative medicine. One thing is certain: MRI will be the next step in the future of medicine, and whether or not it is the masses that control this technology rather than the healthcare system, remains to be seen. A little background on how an MRI machine works would be helpful in understanding the technology as it pertains to its form of media. An MRI can be thought of as an enormous magnet. The magnets within the machine create a magnetic field around the area of the body that is to be scanned. The majority of the human body is made up of water, and in each water molecule are two hydrogen atoms. So when the magnets create the magnetic field, this causes the hydrogen atoms to emit a radio frequency signal. The type of tissue in which the water molecule resides determines the frequency and length of the signal emitted by the hydrogen atoms. A scanner in the MRI to create a three-dimensional image then records this signal (Gould). The ability to produce a detailed three-dimensional image of any part of the human body is valuable for both researchers and health-care providers. For neuroscientists doing research, a common practice is to couple MRI with radioactive tagging and record the brain’s reaction to different activities. In doing this, researchers are able to see what parts of the brain “light up” when performing different activities, like watching a scary movie or listening to a romantic novel. But what truly displays the artifact politics of MRI is its use in a clinical setting. Langdon Winner talks about technologies having politics, either directly or indirectly, in his essay, Do Artifacts have Politics? The idea that technology can change how humans interact and display a political system can be applied to MRI. The physician-patient interaction is a critical cog in the health-care experience, second only to the actual treatment of whatever is ailing a patient. It is important that a patient feels understood and also understands what is causing a condition that produces discomfort. When a doctor asks a plethora of standardized questions designed for efficiency and proceeds to run multiple tests, a patient can feel out of the loop. The lack of communication between a physician and patient can cause a rift that leads to misunderstanding. The patient does not feel important, but rather, like another case number in a file. MRI can take away some of the magic, mystique, or general “coldness” that can be felt during a trip to see a health-care professional. Because MRI is non-intrusive, it is safer and less threatening than most exploratory surgeries or blood tests, while still capable of gaining more insight than those conventional methods. Not only that, but because MRI produces such high-resolution images, it is a simple task for a physician to include a patient in reviewing an MRI. That alone is enough to create a dialogue and increase patient-physician communication, enhancing patient understanding. By including a patient in the health-care process, the patient-physician relationship is able to grow and become a positive interaction that may allow a more advanced healing process. Another feature of MRI that provides a stepping-stone forward in health-care relationships is the ability to supply an answer. Most patients who receive an MRI scan have been struggling with an unresolved condition that is unknown despite other testing methods. When a patient is shown, slice-by-slice, what has been causing a chronic pain or discomfort, a physician is able to provide comfort in providing an answer. A patient is finally able to see for himself what is going on inside the body, producing a constructive relationship of trust with the health-care provider. On the flip side, however, the line between constructive and destructive is a fine one. These scans can just as easily create a destructive relationship between a physician and patient through the over-reliance on medical practices. Nothing is perfect, including medical procedures, and that same mystique that surrounds health-care can set high expectations on a physician who orders an MRI. When a patient pays the exorbitant price for an MRI, satisfactory results are expected. MRI may provide an answer, but that is not the same thing as a solution. The cause of pain may be discovered, but a physician still may not be able to completely solve the condition. This can cause frustration towards health-care providers, even when the real issue is that humans have much to learn about the practice of medicine. This whole process of taking an MRI scan takes minimal time, sometimes as little as 20 minutes. But in the process, an MRI produces a magnetic field measured at approximately 1.5 Teslas, which is 30,000 times greater than the magnetic field felt on the surface of the earth. This requires expensive raw materials and up-keep of the machine. The high cost is reflected on the bills of the patients who require the services of an MRI scan, simultaneously deterring doctors from prescribing the procedure to patients who may not be able to afford the steep price tag. The median price of an MRI before insurance coverage was about $1,100, as of 2014 (Glover). More people require the use of MRI than there are health care professionals who can operate and interpret MRI scans. Because there are essentially a few select individuals who “control” the technology of MRI, this could be described as an authoritarian type of technology. The power of the technology rests in the hands of health care professionals, while patients depend on these providers to prescribe and execute scans. Of course, this is understandable, because the amount of skill and training that goes in to the entire process is just as important as the technology itself. Very few individuals without medical training would be able to perform scans of their own bodies and then analyze those scans for diagnoses. The technology in MRI having authoritarian roots leads to an ethical issue, nonetheless. MRI serves as a microcosm for healthcare and the issue of availability of healthcare to all people. Like the provision of healthcare, MRI scans can be costly to the consumer, and some insurance companies may not cover the procedure. This reality is frustrating for many. While MRI can provide information about an existing injury or medical condition that is causing discomfort for an individual, MRI can also be utilized to preemptively detect cancer tumors that are too small for traditional methods of screening to detect. Some forms of breast cancer are so aggressive, that by the time a mammogram detects a tumor, it is often too late. Early detection is the key for most diseases, and MRI provides that next big step in preventative medicine. We need to look ahead, into the horizon–if this medical procedure could become a basic commodity at physicals and other check-ups, it would transform human life. The true potential of MRI will be achieved when the advanced technology works in harmony with the increased patient/physician interaction. MRI needs to work for the physician, and the physician for the patient. The answer to preventative medicine may not lie in discovering new, more advanced technologies, but maybe in finding methods that allow us to produce and operate our current technologies in such a manner that the general population has access to the numerous health benefits. Gould, Todd. “How MRI Works.” Howstuffworks. 1 Jan. 2014. Web. Glover, Lacie. “How Much Does an MRI Cost?” Nerdwallet. 1 May 2014. Web. 3 Mar. 2015. With technology becoming more and more relevant in every aspect of our lives, online dating sites are gaining more members every day. There are now more than 40 million users of online dating in the United States alone. Thanks to the integration of technology and the internet into our lives, the online dating business now possesses an annual revenue greater than one billion dollars (1). Some say dating is a numbers game, but many others feel that online dating provides ways of deception. Either way, online dating is providing a new way of communication and interaction online. Since the initial stages of the relationship occur primarily behind keyboards, it is easier to portray yourself as someone you are not. This becomes especially useful to some in the dating world. Due to the fact that the person you are communicating with has most likely never met you in person, you have the opportunity to make a first impression without even making eye contact or speaking a syllable. Some of the most common lies are those centered on occupation and income, physical appearance, and age. While most of these deceptive actions may be slight exaggerations of the truth, the fact remains that the truest form of the person on the other side of your messages is not being seen. For instance, when someone might say one thing in the heat of a verbal conversation, they may respond differently when given time to think about what they believe would help infatuate the other more. It could be argued that the use of lies stemming from using online dating creates relationships that are built on falsities. Unlike the mystery that lies within the use of online dating, social media connects people that usually know each other to a certain extent. Therefore, users tend to show themselves differently on social media sites compared to dating sites, but many still attempt to portray a bettered version of themselves. I previously mentioned how occupation and physical appearance are two of the most common lies. When dealing with friends on social media, those you know in realms other than just the internet, those fabrications do not apply. Instead, social media is often used to not only share thoughts and moments with others, but also to try to make the user’s life more eventful or more exciting than it already is. No matter what way one looks at the situation of self-representation online, the connections are not the same as those that occur in person. Whether that is a positive or negative change is an opinion based matter, but it is undeniable that there is a difference. Online dating sees those involved attempt to show others an enhanced version of themselves. At the same time, social media users tend to show an enhanced version of their personal lives. As times change and internet communications evolve into a larger part of our lives, self-representation online is becoming a more prevalent fixture in society. More than ever, we control how others see us, at least in the virtual world of the internet. What is your digital self? My group project is social media. So talking about how we are represented online fits the blog post very well. How are you portrayed online? Do you filter some stuff? Are you friends with everyone? Did you change your privacy settings? Those are one of the many ways we can alter the way we are seen online. Watson’s “Studying the Digital Self” is categorized into five different groups. It is broken down into interpreting digital archives, evaluating claims of authenticity, understanding the use of branding, parsing identity online, and assessing quantification. I decided to ask some of my close friends Joe and Marc about what they thought about their digital self. The very first question I asked them was the definition of digital self. For Joe, it meant what the online world knows about him. The things that people can find about him online. Although he is very family oriented, he doesn’t post many of his personal stuff online. He keeps it professional and only post and share information to promote his organization in school. He use it as an advertisement tool. He changes his cover and profile pictures to events and information his organization plans. For Marc, it is the opposite. He posts a lot of pictures whenever he travels. He likes to keep his Facebook updated with many pictures and statuses of his personal life. The reason why he likes to keep it update it is because Facebook is a way for his family to be updated on his life. Being an out of state student, he doesn’t always have the time to call home so his family can see. According to Watson, the way they interpret their digital archives is very different. Their habits and desires online are very different. In terms of authenticity, Joe’s digital self is more professional compared to Marc. They both have LinkedIn accounts but Joe is able to present his talents and skill much better. He keeps his personal life away from the online world. Also, Joe knows how to brand himself. He even has his own logo that he labels in his products such as flyers. Talking to Joe and Marc about their digital self was very interesting because of how different their perspective are when it comes to social media. I think that another great point is from the book Alone Together by Sherry Turkle. She interviewed different people about how teenagers see social media as. One good point was how they would use it to stalk people. When they add their family members, they can’t help it but to stalk and look at their pictures. And how some teenagers think that their family might be too old to even have a Facebook and MySpace. Joe doesn’t like having people look into his private life so he keeps a lot of things away. He knows that people will look into his past from social media. Marc is completely different. He knows that people will look at his pictures so he shares more. He knows that his family wants to look at pictures and know more about his life so he posts more. Another great point by Sherry Turkle is that we never know who is on the other side of the screen. People can lie about their information and post pictures that are not even them. Our digital self can be used to show our best but some people might lie to make themselves look even better. In conclusion, we show many different side to friends, family, and strangers. The way we are portrayed online is also very different. We get to choose what we want people to see. We are able to block and hide things we didn’t like. We don’t have to put out everything about us online. We can put our best traits online. Like Joe and Marc, we all use social media to our advantages. We use it to communicate with people we know, network with others, and use it as an advertisement tool. Our digital self is like another part of our personality were we try to make ourselves look the best. Conversations with friends over how they use social media. Posted on February 18, 2015 Author tanwang1Categories UncategorizedTags Alone Together, Digital Self, Facebook, Influence, mediaLeave a comment on What is your digital self? As the story goes, in 1984, a group of “deep thinkers” along with Bill Gates of Microsoft notoriety, and of course his philanthropy, gathered to discuss how to engage the global community in collaborative conversation of powerful ideas worth sharing; witnessed, the birth of “TED Talks”. TED Talks, (technology, entertainment, and design), began as a conference of powerful short lectures, around 18 minutes of less, covering a host of varied topics from science to business to global issues. TED’s agenda “was to make great ideas accessible and spark conversation” by bringing “the authority on the topic” to the worldwide audience (1). Since its inception, the business of TED, has grown into a diverse nonprofit, nonpartisan foundation offering a broad platform of media spreading “great ideas”. Now a global community, the business of TED, has branched into: TED.com, an index of free knowledge from the world’s most inspired thinkers; TED Talks, live conferences currently available in person, via the World Wide Web as a video library, or to eager listening audiences on select public radio stations; TEDx, independently run local community events; and TED Studies, offering a deeper understanding of structured educational topics in the form of TED-Ed lesson series and TED Books. Currently, an expanded version of TED Studies is available by license for academic settings designed to help students, professors, and self-guided learners explore important, timely ideas. What drew my attention to TED.com and TED Talks (from here forward simply known as TED), when faced with a discussion of “media comparison”, is the notion that TED is acting as a “double agent”; a double medium, if you will. The first, is as a collective media, store housing “free knowledge from the world’s most inspired thinkers”(1). Because of TED’s unbiased selection of ideas from a broad spectrum of science, business, and global issues, in over 100 languages from around the world, it can narrow its collective works to those ideas shared by the authorities working in those areas. Much like the “digital self” archived online in Watson’s Studying the Digital Self (2), TED, as a collective media, utilizes the World Wide Web to archive its vast store house of powerful ideas from across the global community. The second form of medium is as a distributive medium. TED takes advantage of multiple avenues of distribution; the most far-reaching and timely of course being the internet, free access to powerful information by anyone with a personal computer or a local library. TED is also available in person as local TEDx events, in a more intimate medium as TED Books, and as a structured, instructional medium as TED Studies. TED’s multiple avenues of access make it a quick and easy source of up-to-date information on the topic at hand. For example, recent in class discussion of the OkCupid(3) dating site and online dating in general had me searching “online love” in the TED search box. First up, The Mathematics of Love, by mathematician Hannah Frey; in her TED Talk and TED Book she explored the role of mathematics in successful online dating. In fact, she cites OkCupid and the fact that it was started by a group of mathematicians and how math plays into the success of dating and even more importantly how it may give us insight into avoiding divorce. In another class, we discussed the role of robots as a replacement for love and companionship prompted by the reading Alone Together (4). In Alone Together, Sherry Turkle (4) explores the idea of robots as companions but she also developed the idea of robots as a necessity to the care of future elderly. Until recently, assistance of the elderly was merely an idea; but, according to Ken Goldberg (5) of Berkeley, a roboticist, in a TED Talk: 4 lessons from robots about being human, thanks to cloud computing it is now possible to control mobility and manipulation of robots. Difficult tasks, such as, picking up an object without crushing it were impossible prior to the processing power of cloud computing. In fact, thanks to the development of an extraordinary algorithm called “deep learning” by Geoffrey Hinton from the University of Toronto (6), computer driven robots are learning by doing and one major step closer to near human performance. But deep learning has its negative aspects; as it turns out, it is only as good as the initial information put into the algorithm. Left alone, the initial inputs may not be enough to lead deep learning down a safe and productive path. This can be demonstrated today in “deep learning” computer’s, during analysis of cancerous tissue samples, failure to correctly diagnose cancer possibilities because of the computer’s inability to question subtle discrepancies it may or may not document. And just for argument’s sake, let’s say computer driven robots meet and exceed human performance what will become of the human services jobs replaced by deep learning robots? We will be better off as a society by having caretakers of our aging population replaced by robots? Or, will this answer the projected caretaker shortage of the future? 4. Turkle, Sherry. (2011). Alone Together. New York, NY: Basic Books. As mentioned before, Netflix was able to change the television industry. But how was it able to change it in just about 25 years? From having good marketing strategies to the timing. When Netflix was founded it knew that people enjoyed buying and renting movies. To make it even more convenient, Netflix started a DVD delivery system. As Marshall McLuhan mentions that we focus on the obvious. We know that there are changes, the advantages and disadvantages of a new system but rarely do we know that the new system or invention had changed our lives. Sometimes it is a long change, other times it is a subtle change that we don’t even realize it (Mark Federman) “Societies have always been shaped more by the nature of the media by which men communicate than by the content of the communication” (page 8) bring up a good point on how Netflix works. The content of Netflix is great but the reason why it could become so big wasn’t because of its content but the nature of the media. It is convenient. We don’t have to store physical DVDs or go to a store to get a movie. We can see anything easily anywhere. Netflix being electric technology could change the way society is now because “electric technology fosters and encourages unification and involvement. It is impossible to understand social and cultural changes without knowledge of the workings of media” Which is true, Netflix was introduced in 1997. There were a lot of technological improvements but we still didn’t understand it well enough. We didn’t that it was slowly changing the DVD industry because we couldn’t understand it well enough. McLuhan also mentions that a medium is the message; it is an extension of us. It is proven to be true with the analysis of different mediums. In this case, Netflix is an extension of us. We might deny that it isn’t an extension of ourselves but we are the reason why that medium is so big. Even the content of the medium is tailored to our preferences and our likes. 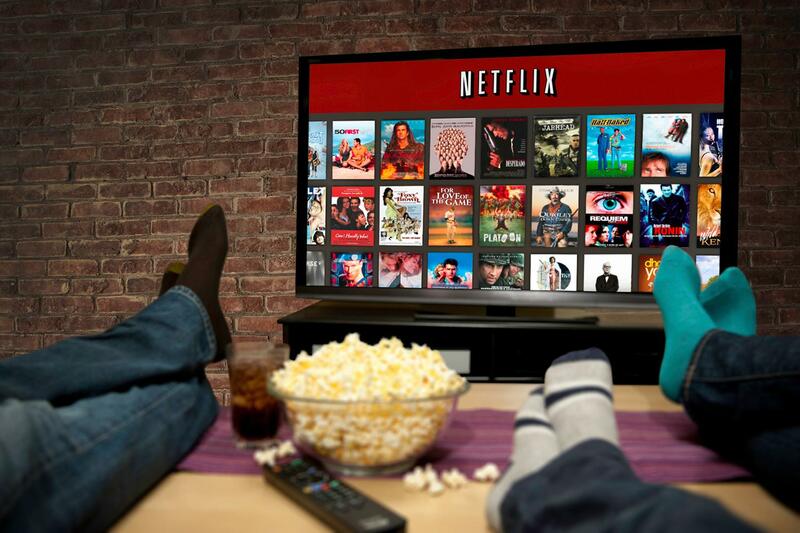 By watching certain movies and television shows, Netflix can give you a suggestion of other movies and television shows that you might like to watch. That isn’t the only thing that it is a part of us. It tries to be like us by having a “brain”. It categorizes the contents into different parts very much like our brain. Netflix is also able to tell you the likes of others by getting information from other social media like Facebook. McLuhan argues that the message is the medium. The content or the use of the innovation is not the message. The message is the “change in inter-personal dynamics that the innovation brings with it” (Mark Federman) In the case of Netflix, it isn’t the content of Netflix or how it was founded but possibly the changes of lifestyle of us as humans and the changes in users in the internet because of Netflix. It is the change of point of view in people because of Netflix. Because of Netflix, people have found ways to learn about less known shows and movies and some have a positive attitude toward the movie industry when knowing it isn’t all “Hollywood”. The point is that the obvious changes aren’t the actual message. The message is hidden, it is not obvious. For McLuhan, the changes, the innovation was television. It is interesting to see how that had change over time. Television is still around but the way it is watched has changed a lot. But I also believe that McLuhan knew that there would be changes. Just like he said “the medium, our process, of our time- electric technology – is reshaping and restructuring patterns of social interdependence and every aspect of our personal life. It is forcing us to reconsider and reevaluate practically every thought, every action, and every institution formerly taken for granted” Many innovations have change the way our society works from our personal life to our social life. The changes have its advantages and disadvantages but many things that we took for granted in the past and in the present might not be there anymore in the future because of the many changes. In conclusion, like many different mediums, Netflix was able to change the way our society is. It reshaped and restructured how our personal and social life is. It changed the way different industries that we took for granted, disappear or restructure. Our generation is the last of its kind. I was born in 1993 and growing up, I went to grade school, like every other child. All through elementary school, the only true source of information were textbooks. I remember going to the library in order to find books on topics I was going to research. Now, kids of all ages and adults have the ability to use search engines in order to acquire the information that’s needed. I’m referring to ‘search engines’ and not the internet or Google mostly because both of these things have turned into bigger commodities than just providing information. I want to specifically look at the conflict between learning in today’s society with the ability to obtain any bit of information imaginable through a search engine. In Marshall McLuhan’s book, The Medium is the Massage, one of the topics discussed is the relationship between media and the medium through which it is presented. Another way to think about it, according to McLuhan, is the battle between the old environment and the new technology. This dispute can be seen between learning in the modern-day classroom and this relatively new ability to utilize a search engine for information. In elementary and high school we are taught facts, formulas and the application of these lessons. Now that there is a plethora of information, more information available than we will ever use, what in the curriculum is obsolete? Is it important to memorize every capital of each US state, like I was required to do elementary school? Is memorization itself now nearly obsolete? Why spend hours in and out of the classroom committing to memory what you can search and find in less than a second? How can we adjust the curriculum (teaching environment) to this new form of acquiring instantaneous information (medium)? This conflict between the classroom and the ability to ‘search’ needs to be recognized by teachers. Educators must now focus on teaching students about processes of applying information, problem solving and collaborating (1). The emphasis in school for the 21st century student is no longer about learning new information, but learning how to use information. Having the information, such as mathematical formulas or the history of Constantinople, is not the issue, like it may have been 15 years ago. There is little use for this sort of information unless it is taught to students how to apply new aged media to real-life solutions. This brings up the issue of intellect. Intelligence is traditionally recognized by ‘knowing’ a lot. Today, what does that mean? Anyone with an electronic device from 2003 and a hand can know everything about anything. If students are provided with the tools to properly apply this ability, then I think the new standard for intelligence is bound to change. We are living in a fast-paced world and it will become ever-more important to learn the skills of improv and problem-solving. A key benchmark in education in our current era will be whether or not students can draw on lots of different types of information and bring them together to work out a solution, to gain a new perspective on a situation or to develop our knowledge of something (1). So in a sense, we are not getting less smart, just a different smart.